My lifelong aversion to Winter means I find it hard to resist an escape in search of heat (and good food of course). This year I decided on a week of sun, sea and feasting in Port Douglas, Tropical North Queensland. Port Douglas is a massive 2,500 km from my home in Sydney. It sits alongside the impressive and untouched Four Mile Beach and boasts the Daintree rainforest as the dramatic backdrop. No wonder then the population of this small town can double during the peak tourist season (May to September). 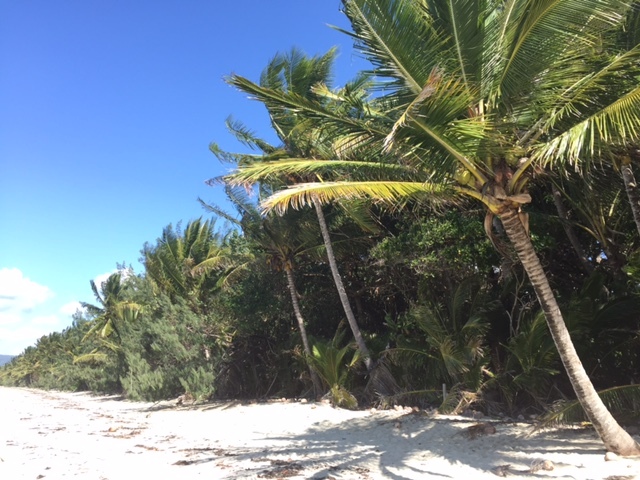 When I mentioned to friends I was heading to Port Douglas one of the first things they said was you’ll be spoilt for choice with so many great restaurants and cafes packed into one small town. A big promise for a touristy town 1,000 km from the nearest big city. But luckily for me my high expectations were exceeded. 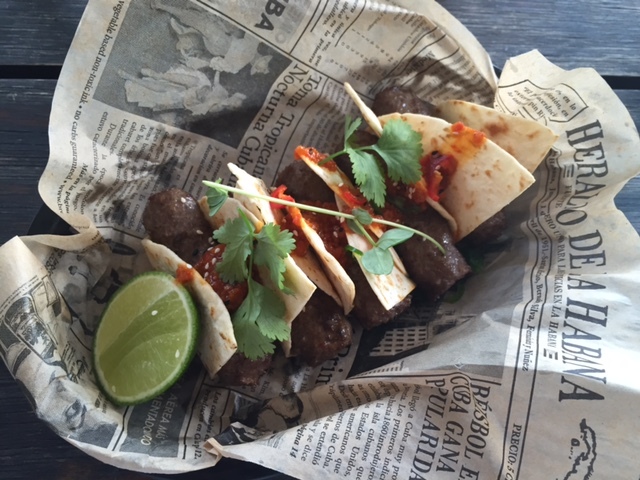 So here I wanted to share my top three foodie spots in Port Douglas. If you’re a fellow foodie (or beach lover) living in Australia then be sure to consider a trip to Port Douglas. And when you’re there here’s three spots (in no particular order) for some holiday indulgence. And remember what they say ‘calories don’t count on holidays’……. I’ll confess Harrisons won me over prior to arriving in Port Douglas on the basis of two dishes on their menu. The crispy pig’s ears (above) and the slow cooked lamb shoulder. Harrisons sits in a romantic colonial style building and boasts awards for its modern European cuisine. Spencer Patrick, the owner and Head Chef, has a philosophy of recreating classic dishes for today’s palates. His style draws from his training in classic French cuisine and love for all things English. 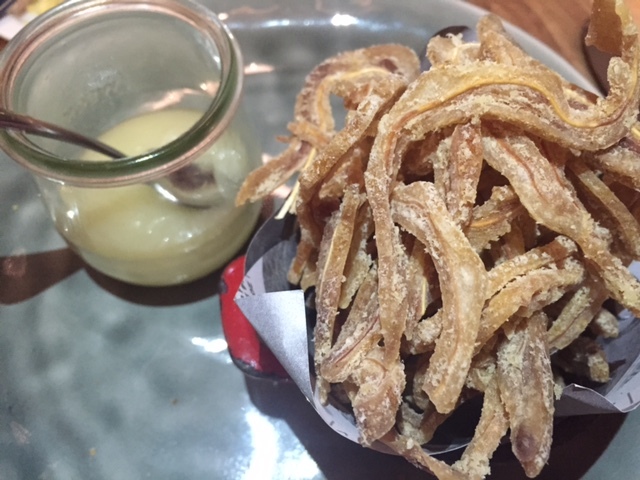 A week or so on from my Harrisons feast I’m salivating just thinking about it – crispy pig’s ears with spiced apple, chicken liver parfait with pedro jelly and sourdough bread. And what about the slow cooked lamb shoulder? It was as good as I expected and better, and I left wishing I’d asked for the recipe for the accompanying hay baked pumpkin. There’s something special about dining in a historic old Queenslander house, under centuries old mango trees. So don’t miss this experience at Harrisons. Book ahead and request to sit on the deck amongst the tropical gardens or choose an indoor table and enjoy the coastal and contemporary interior. A cosy spot on the main street, this cafe by day come wine bar by night was constantly bursting at the seams with hungry tourists and locals. But for good reason. The breakfasts are made up of wholesome and hearty fresh local produce and the afternoon sandwiches are legendary (and a steal for just $12.50). As if that wasn’t enough to tempt me (three or four times) The Little Larder transforms into a wine and tapas bar come 4pm, with cant-stop-at-one-glass prices on wines, craft beers and cocktails during late afternoon happy hours. Whether you dine for breakfast, lunch or dinner the menus are clever and the ingredients local and fresh. They get the basics spot on, such as Toby’s Estate coffee beans and top quality breads, then the chef goes the extra mile with home-made pickles and funky presentation. The Little Larder would be right at home in Sydney or Melbourne – so don’t miss this spot – just be prepared to wait for a table! 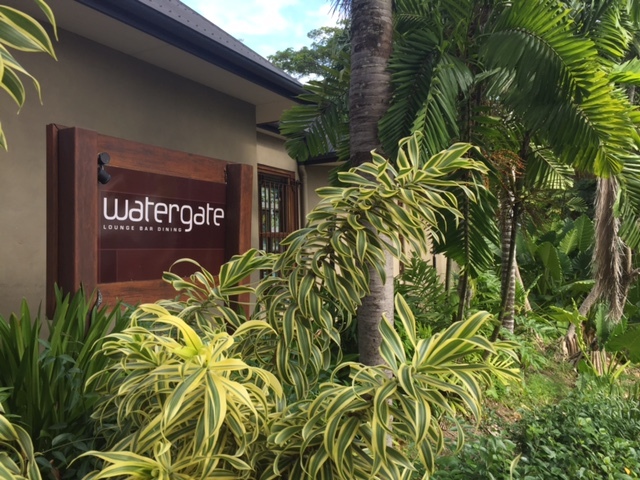 Watergate is a restaurant and lounge bar right in the heart of Port Douglas. The modern Australian menu is diverse, seasonal and innovative and the wine list showcases some of Australia’s best (at prices you’d be hard pressed to find in capital city restaurants). I get the impression Watergate is the spot that locals would prefer to keep to themselves. And for good reasons. When it comes to the food there’s a broad menu with something for everyone, including vegetarians. 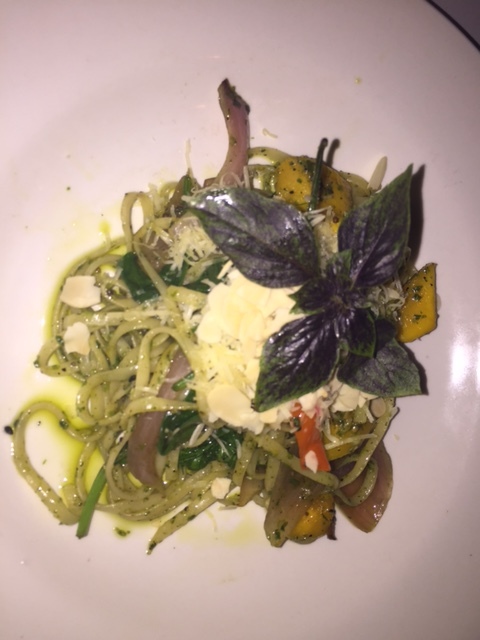 The portions are generous, the dishes full of flavour and the service friendly and knowledgeable. The atmospheric setting adds to the experience with indoor or outdoor seating under the huge native trees, which by night are lit with fairy lights. 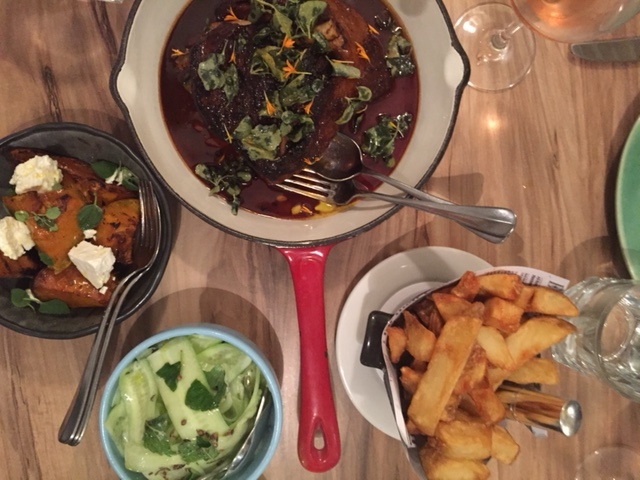 It’s certainly fine dining (without a fine dining price tag) and so I’d recommended leaving the kids at home and finding an excuse for celebratory meal. Have a drink or two in the lounge then kick back for a few hours of indulgence. Its popular though, especially for dinner, so be sure to book in advance. 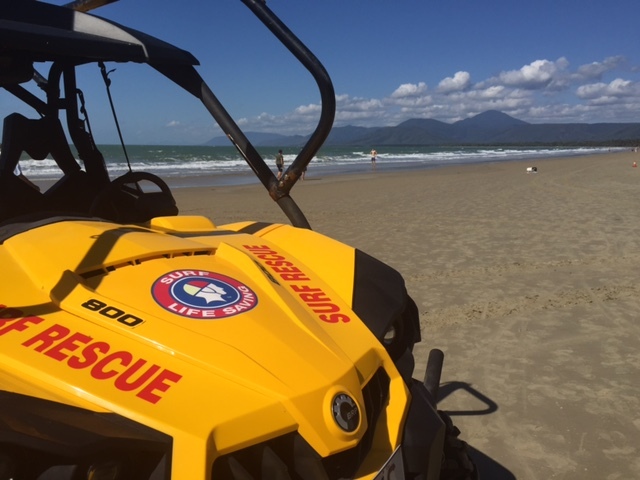 Thanks Port Douglas for a lovely week……………. 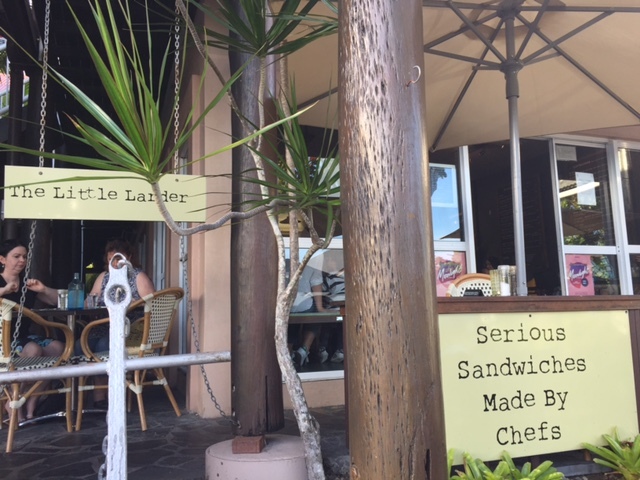 Tags: cafes, Harrisons, Port Douglas, Restaurants, review, The Little Larder, Watergate. Bookmark the permalink. 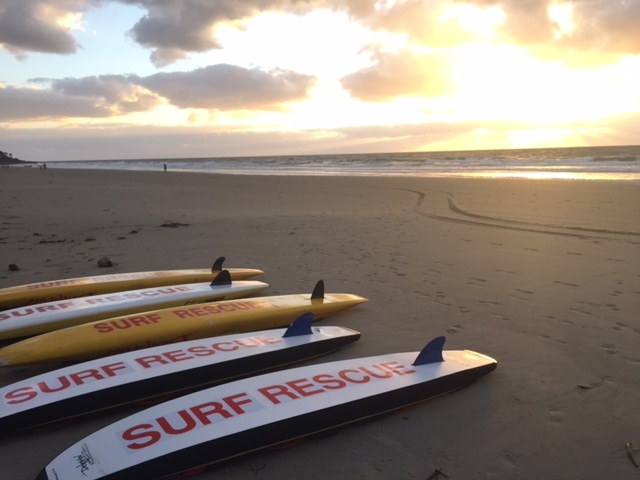 Thanks so much – yes it’s a beautiful part of Australia and the pigs ears were very good indeed! Thanks for pointing me to this post Laura.